A few weeks ago, Frisco’s Peak One Neighborhood received the Eagle Award at the Annual Housing Colorado NOW! Conference hosted in Beaver Creek Colorado. The three-day conference event drew over 660 participants throughout Colorado and across the U.S. and is one of the largest of its kind. The prestigious Eagle Award is recognized as one of the highest achievements within the Colorado housing community. It symbolizes extraordinary accomplishment and outstanding leadership in housing and support services. The 69-home Peak One community is viewed as the gold standard for local housing in the mountains. 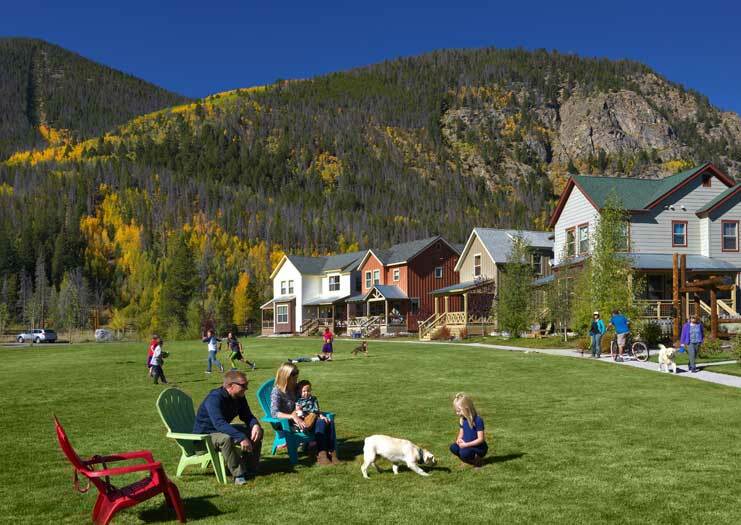 Following a housing retreat in 2007, Frisco town council concluded that a sustainable mountain community required affordable housing for the residential workforce. The Town of Frisco chose the 12.5-acre in-town parcel they owned to develop this neighborhood. Teaming with Brynn Grey Partners, they wanted to create a community that had a ‘local’ feel — a place where people who worked in Summit County could afford to live and feel at home. The neighborhood is consistent with the community values and character of Frisco. It’s blocks away from the town center, borders national forest land and is in close proximity to the county rec path system. To live in Peak One, buyers must be employed in Summit County at least 30 hours per week. Almost all of the homes have deed restrictions that limit the property value growth each year. This is not the first time Peak One has been recognized. Both the National Homebuilders Association and Urban Land Institute have named it a workforce housing triumph since its completion in 2016. Want to learn more about how you can purchase affordable housing in the mountains? Contact our talented team of brokers at Real Estate of the Summit today!